Office blogger Charlie tackles those tricky teenage years. This September, millions of parents will embark on a very important journey. It’s a journey that will take in whispered complaints about the growing cost of a pair of school trousers, countless meetings with new teachers, hours spent poring over course schedules, and the inevitable sadness that comes when they realise that their babies really are growing up. This annual transition from one school year to the next is always a hectic time – there are uniforms to adjust, textbooks to buy and usually a whole lot of moaning about the end of summer to put up with too. The transition from primary to secondary school can be a particularly stressful time for parents and their children. For mum and dad, there’s the inevitable realisation that their son or daughter is fast approaching adolescence, a time when even the most affectionate of kids’ can start to sound like Damien from The Omen. For a child, the stakes can seem very high indeed – in secondary school, the pressure is on both socially and academically. Whilst the vast majority of young people end up leaving secondary school as mature, responsible and downright admirable young adults – it’s inevitable that there should be a few bumps in the road along the way. As a parent, it’s your job to be simply be there, even if it feels like it’s the last thing in the world that they want. It should come as no surprise to find that many of the experts at DNA Kids are parents themselves. As such, we pride ourselves on not only knowing what’s important to pre-teens and young adults, but also on our understanding of that uniquely adolescent need to both stand out and fit in at any cost. 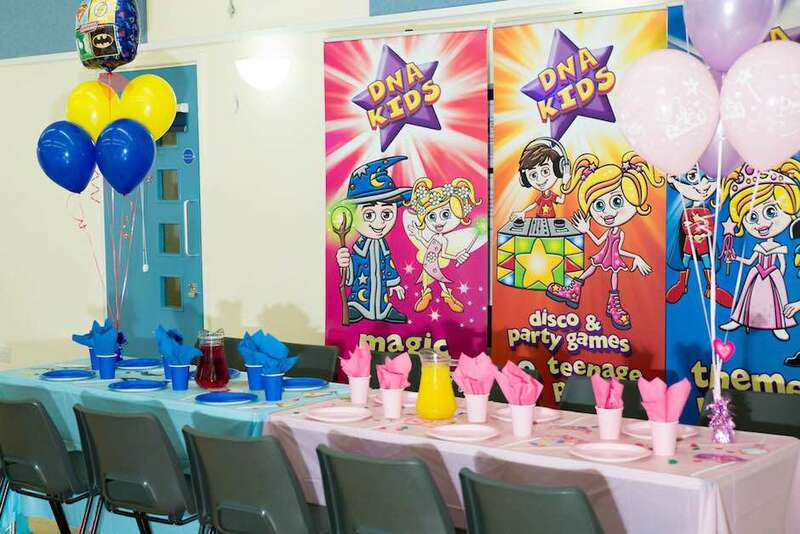 It’s why our DNA Teens party packages have been designed to be as cool and as contemporary as possible. 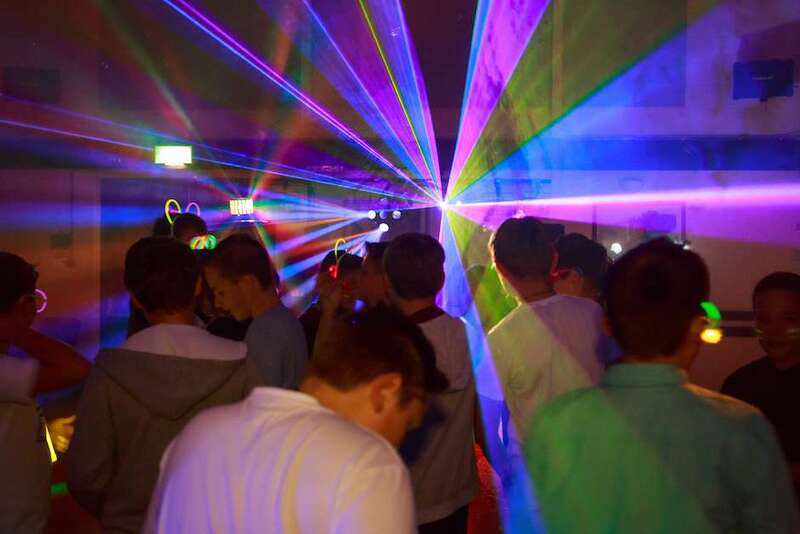 Our teenage UV Glow Party and Laser Disco Party offer parents a safe, effortless and affordable way to celebrate being a teenager with their – well, teenager. The most important thing to realise about the move from primary to secondary school is that it signals the start of a period of rapid mental, physical and emotional development. At its end, your child will most likely have grown into a caring, deeply personable individual, but you’ve got to get there first. There will fights, tears, raised voices, broken hearts and all manner of adolescent troubles and trials in the interim. It’s your job to be a centre of emotional stability, to provide a place of safety and routine where bullies, schoolyard crushes, academic pressure and bewildering 17th century texts can dissolve into nothingness – even if it’s just for one night. If it sometimes seems like the transition from primary to secondary school really isn’t a cause for celebration, try to remember that you were once just as angst-ridden and confused as your child is now. Here at DNA Kids, we believe that if it’s so important to set boundaries for adolescents, it must be just as important to provide the right rewards when they stick to them. It doesn’t matter whether it’s good grades, helping out around the house, carrying out kind deeds, or being a responsible babysitter – if your child impresses you, let them know it! You can take them to their favourite restaurant, give them an advance on their pocket money, or even agree to a party when their next birthday rolls around. 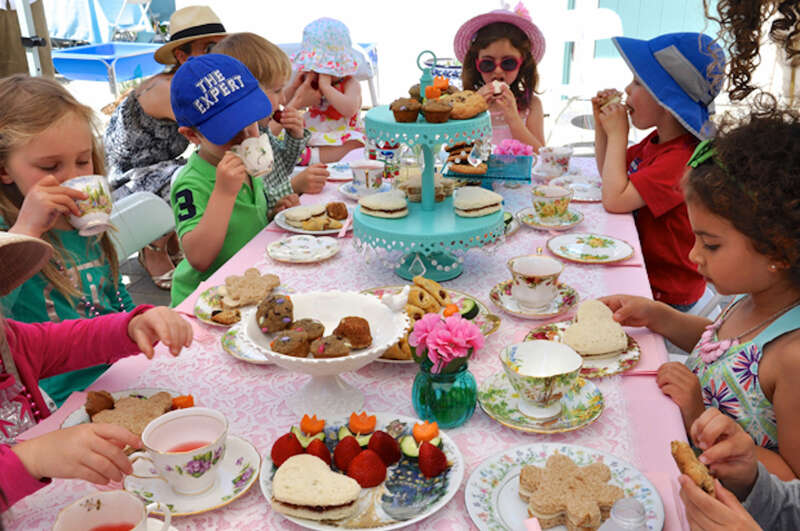 At a time when making and keeping good friends is of such vital importance, nothing is bound to delight your child more than a birthday bash that reflects their brand new teenage status. 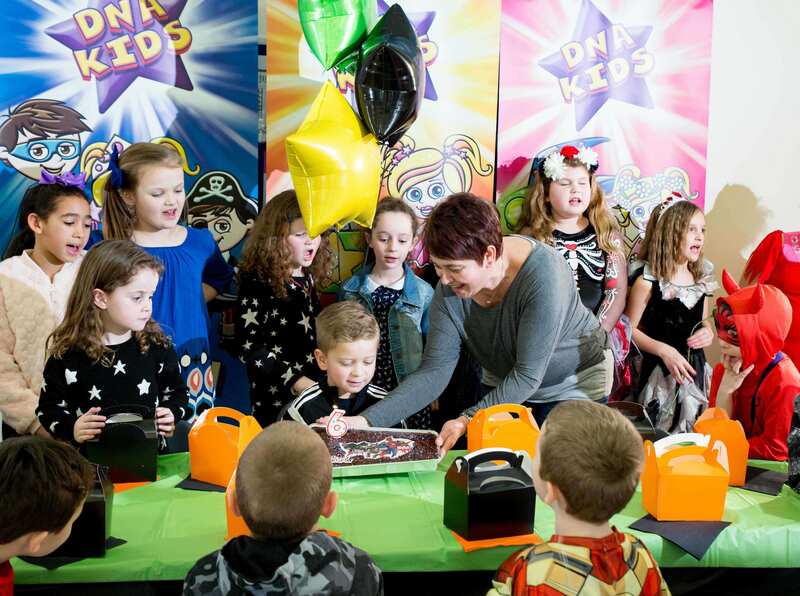 Our specially designed teen party packages swap games and prizes for state of the art disco equipment, the latest chart-topping tunes and a special disco light show. If you like our page on Facebook, we’ll even throw in a second smoke, snow or bubble machine at no extra cost. Whilst the transition from primary to secondary school is a huge mental and emotional challenge for a child, it is perfectly okay for a parent to feel the pressure too. In fact, it’s a very emotional time for mums and dads everywhere – not only are they dealing with the realisation that their child is growing up, they’re also forced to handle the fact that their children often don’t want to spend time with them anymore. Whilst this is a perfectly normal part of adolescence, it can be uniquely jarring for a parent. If the move to secondary school signals a change in the relationship between yourself and your child, try not to worry too much – it really is just a part of becoming a teenager. They might not want to hang out with you, introduce you to their friends, open up about their life at school or even be seen with you in public, but it doesn’t mean that they don’t love you. It doesn’t mean that you won’t still be the first person that they run to with a broken heart, broken bones or broken grades. As all good parents surely know, having a child can be a pretty thankless job, but there’s nothing else quite like it.